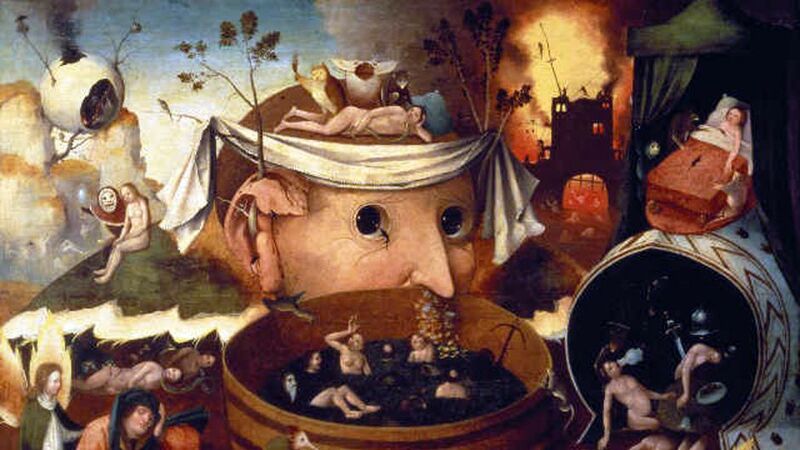 Image: School of Hieronymus Bosch. Public domain. Before getting to the heart of the matter, I’d like to set something straight: the collaborative economy and sharing economy (or collaborative consumption) are not the same concept. The sharing economy is just one part of the collaborative economy, as is distributed production, P2P (peer-to-peer) finance and the open source and knowledge movements. What these phenomena have in common is their reliance on horizontal networks and distributed power within communities, as opposed to the competition between hierarchical organisations that has dominated economic life since the second industrial revolution. For a number of reasons I will not detail here (but here is a must-read essay about this), I believe this old economic framework is rapidly becoming obsolete. A new economic paradigm is needed, and this could be the collaborative economy. But still, there are several contradictions in the collaborative economy that are currently becoming most obvious in the sharing economy as it goes mainstream. Let’s take a closer look at what these are. And guess what? They have something to do with inequality. An economy where people value access over ownership? It sounds — literally — revolutionary. Karl Marx would be thrilled. Indeed, if you look at it closely, it is the exact opposite of capitalism, a system that encourages people to accumulate more wealth and goods than they could possibly use and “put it to work for them”. “Sharing” on the other hand, is a nice sounding word and the expression of pure morality, the exact opposite of homo economicus’ iconic egotism. So, after having believed for centuries that man is wolf to man and having built entire political and economic systems upon this very assumption, it may turn out that we were wrong after all, and that humans are pure, altruistic beings. Right. Why, then, all this growing discontent towards the so-called sharing economy? Two main groups of criticism have emerged: one on ownership structures and the other on employment. These two matters are of course related if one is to consider the context in which the sharing economy was born. We are living in the post-2008 world, a time when we are not completely sure that capitalism will be able to once more reinvent itself. What is the most obvious characteristic of our current economic era? Growing economic inequalities (if you doubt that, I recommend you read Piketty’s Capital in the Twenty First Century), fueled both by patrimonial inequalities (capital ownership) and income inequalities (jobs). Capital distribution is roughly at its pre-WWI levels, which means the 1 percent are doing pretty well. Such levels of inequality might eventually drive our civilization to collapse. Even Eric Schmidt — the chairman of a company whose private buses are being thrown rocks at by angry impoverished locals in San Francisco — thinks inequality will be number one issue for democracies in the future. And even the rich and powerful of the world that gathered at the World Economic Forum in Davos — not exactly a group of dangerous leftists — are worried about the growing gap between rich and poor! So, are we to take the sharing economy seriously? If we want to assess whether it should be seen as the first part of a new economic paradigm or as capitalism’s latest trick to survive at all costs, we have to analyze its likely effects on inequality. Should you really free yourself from all earthly possessions? From a collective standpoint, it might well be better to have access to a resource rather than owning it. Compared to the baby boomers generation’s obsession with hoarding, maybe younger generations indeed show less of an urge to possess things (but of course, they also cannot afford it anymore). But if someone asks you to free yourself from all earthly possessions, you should always ask: if it’s not mine, then who owns it? Remember that for Aufklärung thinkers, private property was perceived as something inherently positive: a safeguard against greater forms of oppression. Back in medieval times, serfs did not own the land they were working on. In Antiquity, slaves did not even own themselves, for that matter. Sometimes, owning is a way not to be owned! It is quite normal that we are witnessing the beginning of a backlash towards the sharing economy: after all, it mostly consists of venture capitalist-backed startups, old-fashioned centralized ownership structures. When I was sitting on the bench at business school, I was told one thing: the purpose of any company is to maximize shareholder value. Employees and customers are but a mean to an end, and in general, a good way to maximize return on investment is to get your customers to pay as much as possible (non-price competitiveness) and on the other side to pay your employees as little as possible (price competitiveness). Simply put, under a modern capitalist mindset, shareholders are not peers (from Latin par, “equal”), but overlords. And if your business model is based on your ability to sustain a community, it is not absurd to expect a contradiction between your duty to serve your investors a high return on investment and the egalitarian spirit of P2P services. In the end, you will have to choose one or the other. Sharing: crowdsourcing taken to the next level? Real wages started stagnating while productivity per capita continued to increase. To keep the system running, a new deal had to be made: people would no longer be paid according to the value they actually produced, but they would get — seemingly — unlimited access to credit. This new deal had a name: debt. In the post-2008 world, we all know this deal is now null and void. So, what do we do now? If someone tells you he knows for certain, chances are high he is lying. One cannot help but notice one interesting fact: while allowing wages to stagnate and inequalities to skyrocket, the neo-liberal revolution has left the basic structures of welfare — all those perks associated to wage labor such as social security and healthcare — relatively untouched. These are precisely the benefits Lyft drivers or Airbnb hosts will never have: they are not employees. In a way, these services are based on crowdsourced solutions. Is the sharing economy truly about that? As Morozov puts it, does the sharing economy “undermine the workers’ rights”? Most probably. Will it destroy jobs? Of course it will! But to be honest, computers and robots will soon replace most human labor anyway. Wage labor cannot be saved, and rather than fighting long-lost battles, people should start thinking seriously about solutions such as Universal Basic Income. After reading this, you are probably convinced that the sharing economy is nothing but capitalism’s latest and sexiest outfit that will not solve, but worsen our inequality issues. But guess what? You might be wrong. It is impossible to understand the meaning of something before it is over. And at dusk, it is hard to tell dogs — man’s best friends — from wolves. Considering the economic cycle which started in the early 70s and ended in 2008, the sharing economy may be the next monster born out of Reaganian economics. But let’s not forget that dated intellectual frameworks usually fail to predict the future. We are at dusk, remember? Old ways of thinking do not shed enough light on current economic and social problems. What happens next, no one can tell. Are Silicon Valley venture capitalistss currently being fooled into creating the embryo of a P2P economic paradigm, in which they will lose most of their influence? Or are the enthusiasts talking about empowerment being tricked into creating a new kind of serfdom? There is absolutely no way to know. In such cases, ancient Skeptic philosophers had an interesting way of proceeding: epoché, suspension of judgment. If you cannot predict something with a reasonable amount of certainty, stop arguing endlessly about it and start acting towards the outcome you would like to see. It would then be dishonest from an intellectual standpoint to give this long article any kind of conclusion (epoché!). Instead, I will make two — in my own humble opinion — important remarks. First, we should avoid using the concept of a “sharing economy” as much as possible: it is tricky and raises the bar too high. It leads people to expect too much from new business models and their users. Of course it’s not really about sharing! Don’t expect any kind of moral revolution (historically, revolutions that want to change human nature end up badly). There is no such thing as pure altruism (come on, even early Christians who happily ran into the lion’s den seeking martyrdom thought their sacrifice would eventually be repaid a thousand times!). Men are both altruistic and egoistic, and that’s perfectly fine. That being said, “If you think it’s just about winning in the collaborative economy, and that “sharing is the new buying”, you should probably think again.” Will big companies be able to face new competition from startups and win over new customers? If that is your main concern, you should probably stop talking about communities and peers. If the collaborative economy cannot help you solve our growing inequality problem, it should be of no interest to you. It’s not about protecting market share, it’s about building an economic paradigm that can make it to the 22nd century. Things will change no matter what, the only question is: how smoothly? The Sharing Economy: Capitalism’s Last Stand? by Arthur de Grave is licensed under a Creative Commons Attribution-NonCommercial-ShareAlike 4.0 International License. Permissions beyond the scope of this license may be available at Ouishare.